Iran has been hit with the Stuxnex worm once again according to an Iranian civil defense official. The attacks reportedly occurred at a power plant and other strategic locations like the Culture Ministry information center. This time, however, the country was able to successful fend off the attack before any significant damage was done. According to a report from the NY Times, it’s unclear exactly when the attacks were carried out, who was behind them or how exactly the government prevented them. Reports from official press did, however, strongly suggest that Israel and the United States had something to do with it. The country has been on high alert ever since the original Stuxnet was unleashed more than two years ago. If you recall, the country’s nuclear enrichment program was hit hard by Stuxnet in 2010. US intelligence officials believe that attack caused multiple computers to malfunction and destroy a number of key machinery that was part of Iran’s nuclear program. Some believe that the country’s nuclear ambitions are for military while officials in Iran state they are interested in peaceful use scenarios. 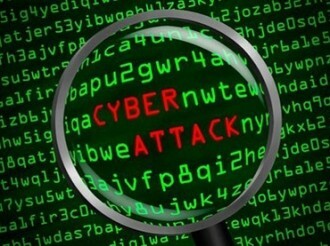 Some believe the latest wave of attacks are in retaliation for cyber attacks that recently hit the oil industry in Saudi Arabia and a number of financial institutions in the US. US officials believe Iranian computer experts were behind both attacks which deleted thousands of Saudi computer files and prevented people from accessing banking information. It’s serious enough that Defense Secretary Leon E. Panetta believes they could eventually lead to what was described as a cyber-Pearl Harbor.